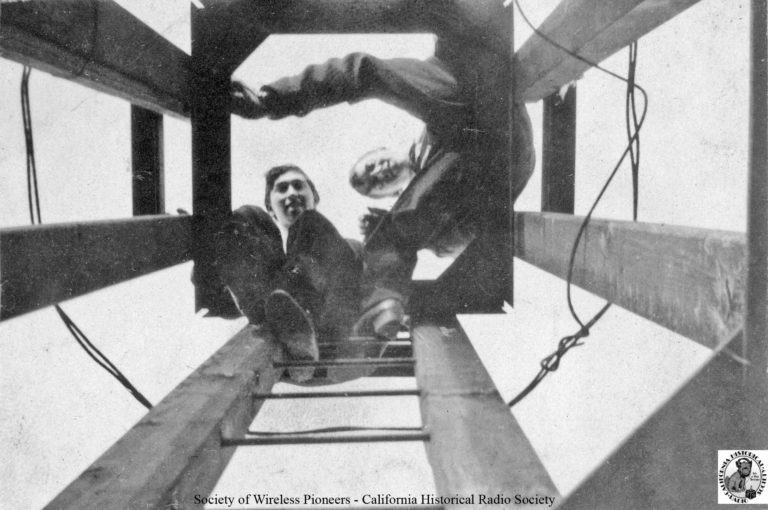 In order to facilitate wireless transmissions across the Pacific, the Marconi Company of America began construction of stations in California and Hawaii in 1913. 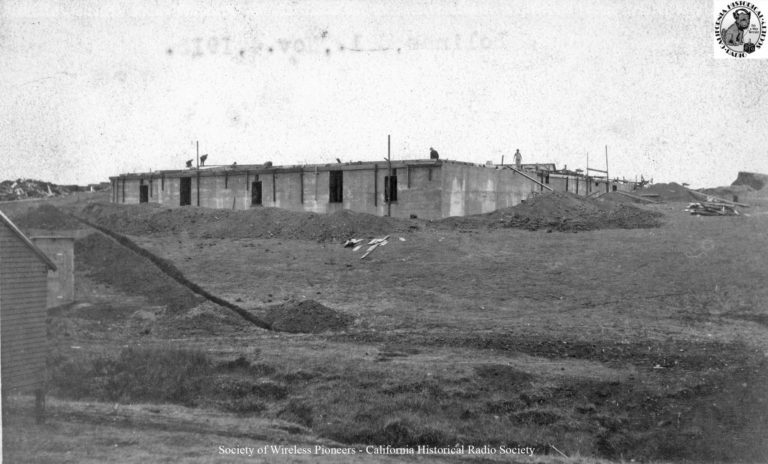 The Marconi high power transmitting station was located near the tiny hamlet of Bolinas, California and the receiving station about 20 miles northeast of that near Marshall. 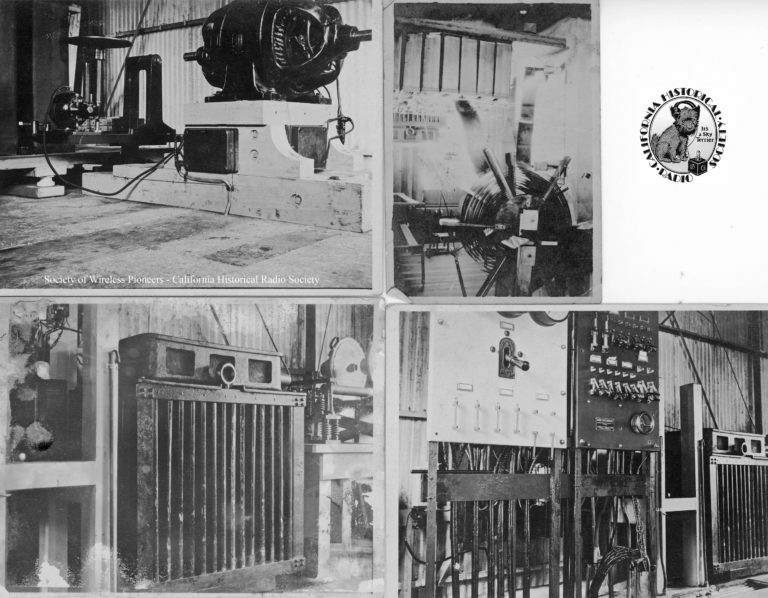 Here we present documents and photos relating to those stations for your edification. 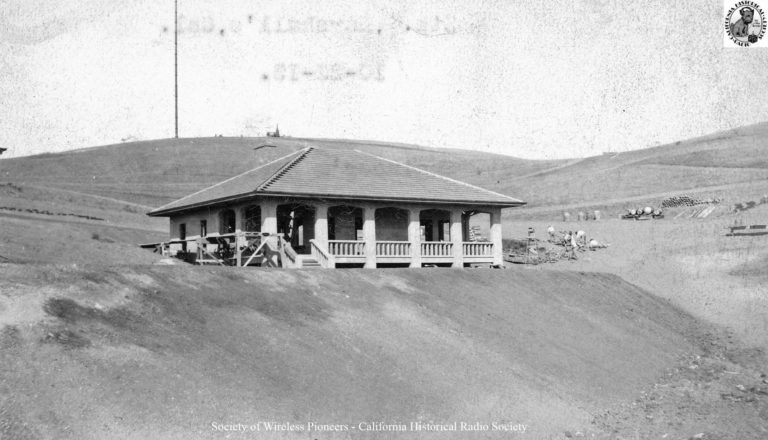 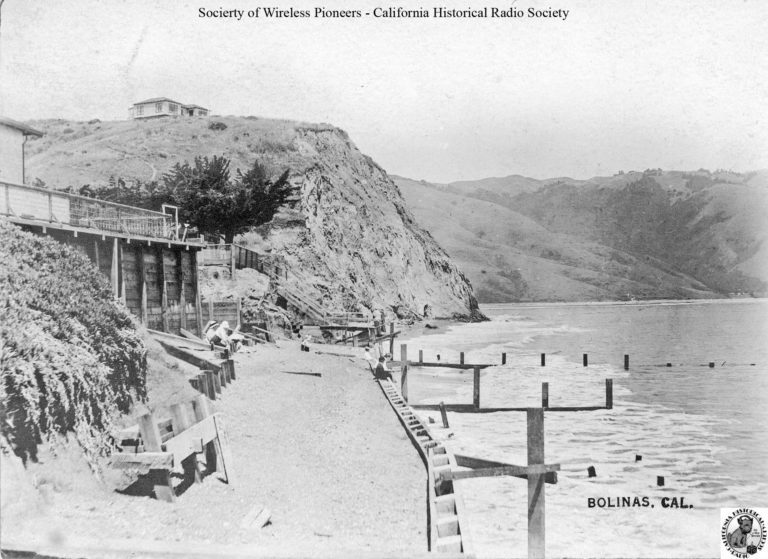 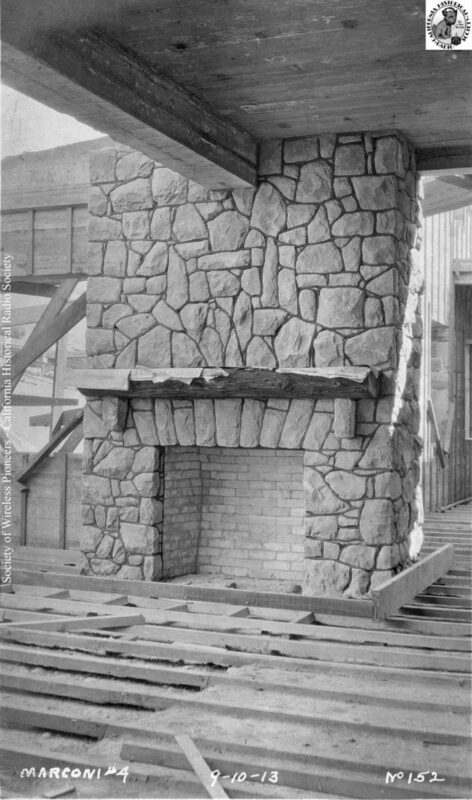 Breniman Angress Letters – When the old Marshall facility was acquired by the California State Parks Foundation, they sought out Bill Breniman for information about its history. 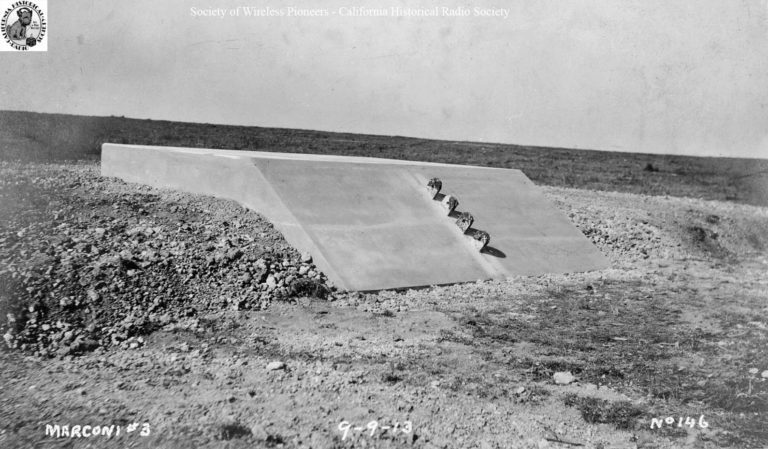 Read their correspondence here. 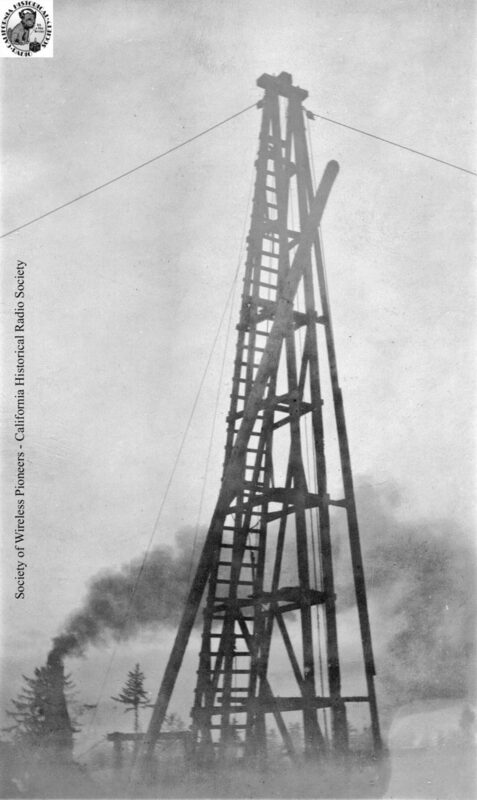 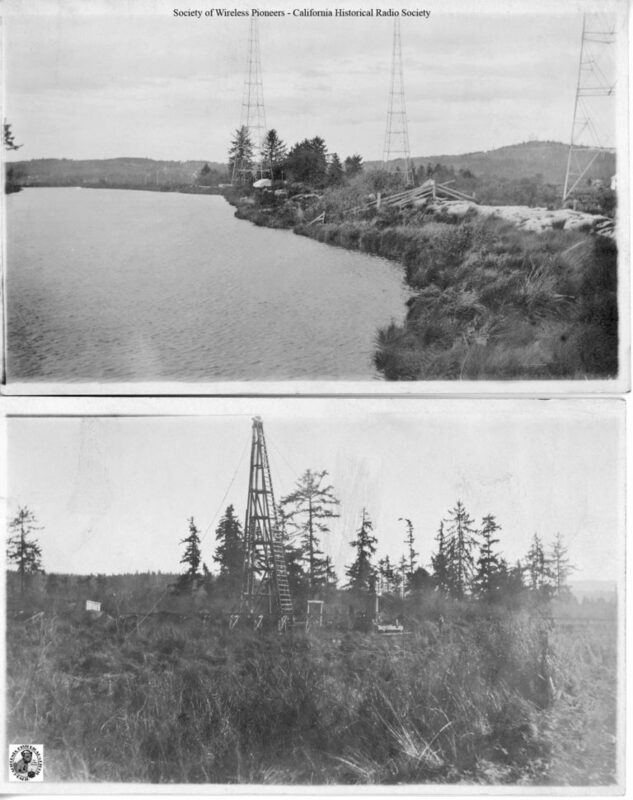 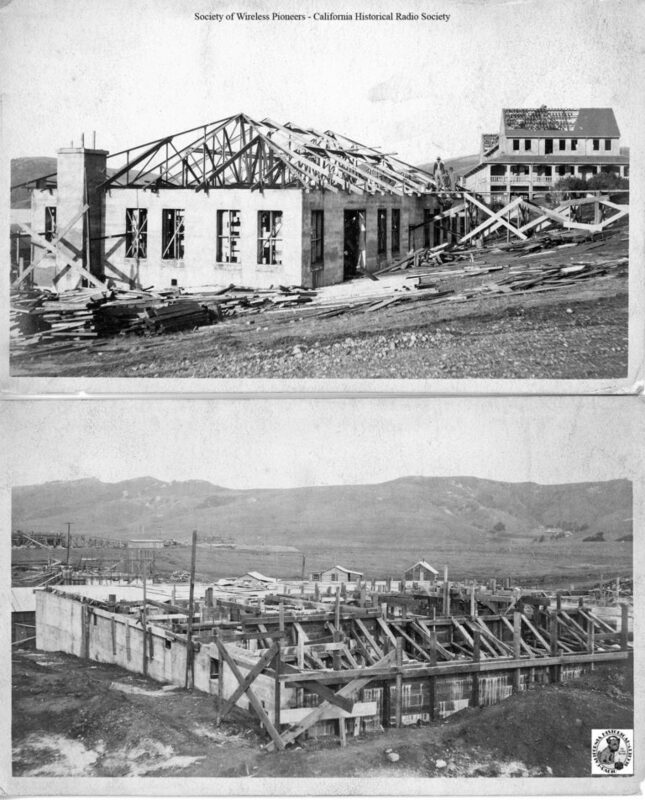 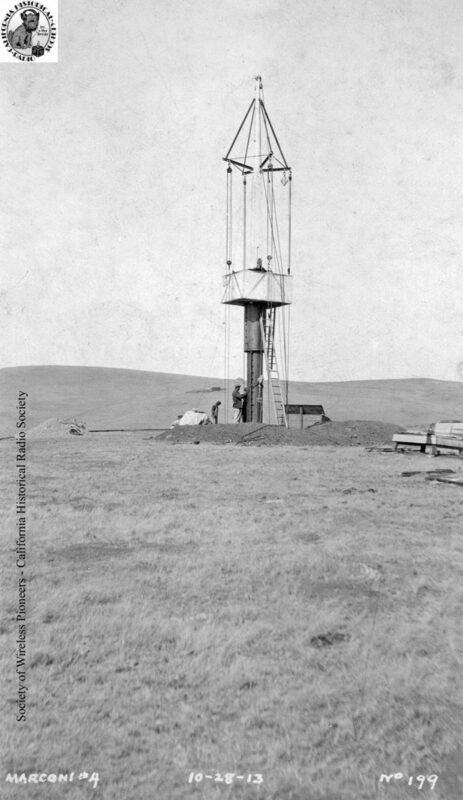 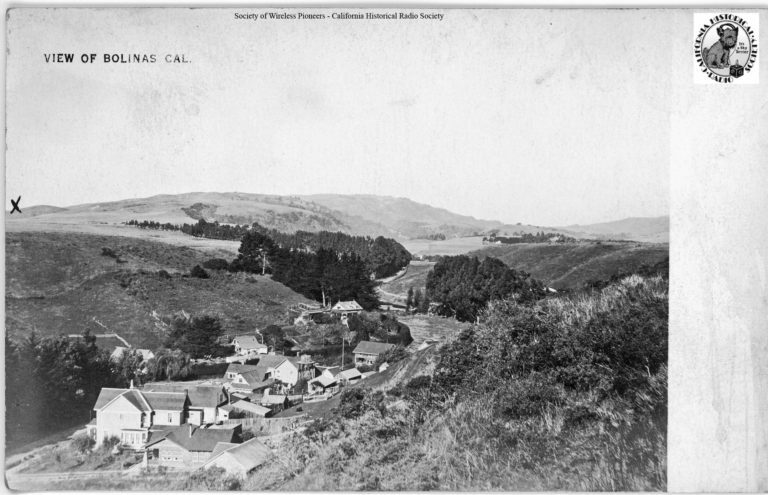 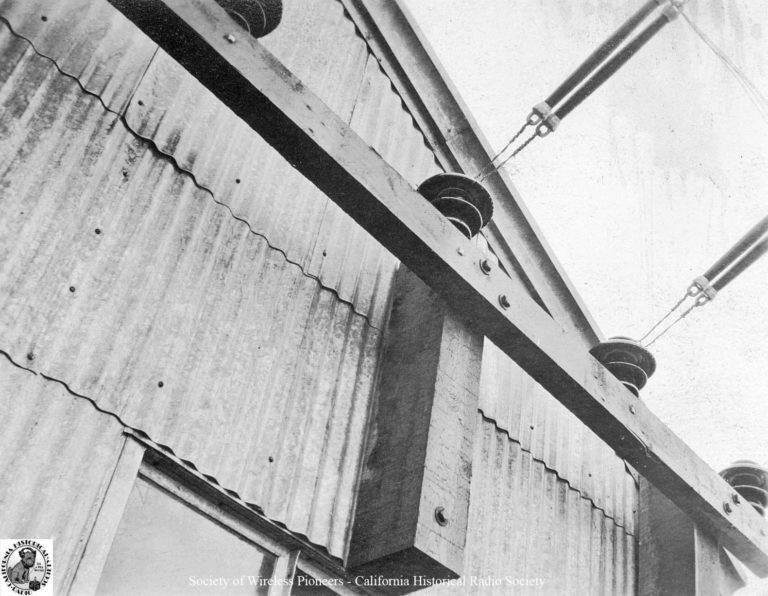 The following photos dating from 1913-1914 are believed to be of the Bolinas (Marconi #3) and Marshall (Marconi #4) facilities then under construction.